The most convenient way to buy wheelchair vans, AMS Vans' online purchase opportunity completes the sales process from your home in Indianapolis, Indiana, and then, we can deliver the van to you. It's never been easier to gain mobility freedom when you have your handicap van delivered to your driveway in the Indianapolis,IN area, including cities like Carmel, Fishers, and Noblesville, Indiana and nationwide. Before you know it, you'll be exploring the roads in one of our high-quality wheelchair vans. A mobility professional will haul your adaptive van on a trailer to the delivery point of your choice in the Indianapolis, Indiana area. Save big with no delivery fees and often receive a pick-up discount on the price of the van by coming to our office and driving the van home yourself. The trip from Indianapolis, IN to Atlanta, GA is easy via bus, train, or air travel. 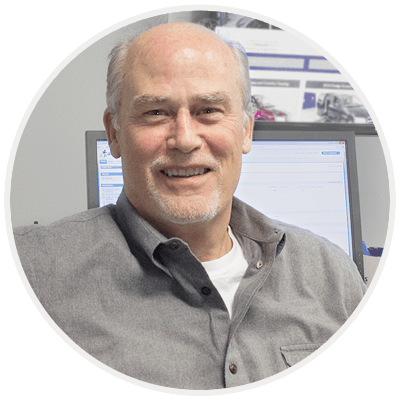 As part of our delivery and pick-up service, every customer benefits from our "White Glove Service"-- a detailed demonstration of the factory-installed and after-market adaptive equipment on your van. We will take the time you need to feel comfortable in the operation of all the features of your van. We want our customers to be as secure as we are in the quality of our wheelchair van conversions, and we guarantee it. Don't take our word for it--have your van delivered to the mechanic of your choosing in the Indianapolis, Indiana area. Our mobility professional will meet you there with the van and stay while the mechanic inspects it. 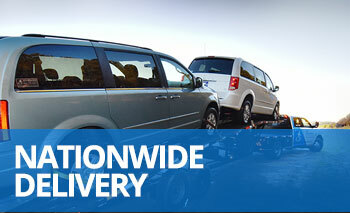 Alternatively, we can bring the van direct to your home or office to complete the delivery process. If, at the time of delivery, you find you aren't completely satisfied for any reason, we will return the van, void the sale, and process a refund. We sell many types of used accessible vehicles including minivans, full-size vans, trucks, lift vans, and other adapted transportation. Our wheelchair vans are some of the safest vans available. Our innovative wheelchair van conversion process leaves the driver's side rocker panels intact for added structural safety. Be one of the many satisfied AMS Vans customers who have saved thousands of dollars when buying a new or used handicap van. Give us a call at 800-775-VANS (8267) and talk to a mobility consultant. Once we determine the type of adaptive vehicle you are looking for, we will be able to point out those that best match your criteria in our online inventory. The hardest thing you will have to do is choose your favorite! Chances are, many of the wheelchair vans in the Indianapolis, IN and surrounding cities such as Carmel, Fishers, and Noblesville, IN were delivered to their owner's front door by AMS Vans.